If you’re tired of your dogs destroying your lawn and cleaning the mud off your pets, Indoor Pet Turf will relieve some of the stress pet owners have. Weather you have one small lap dog like a poodle or a large breed like a great dane, our pet turf will stand up to the wear and tear of their claws and paws. Size: Choose an option18" x 24"20" x 30"30" x 48"
Indoor Pet Turf is designed to save your carpet and/or hardwood floors during emergency situations. When your best friend just can’t hold it anymore. Realistic look & feel of real grass gives your friend the comfort needed to take the pressure off. Product made in the USA. Works best when placed near the door that your pet uses most when he/she needs to get out. 24 gauge stainless steel tray allows for safe and clean disposal of waste. Newspaper can be used beneath the turf to absorb the liquids. Turf can easily be rinsed with a hose or washed in a sink or tub. Choosing the Right Indoor Pet Turf? 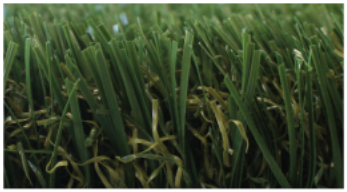 Nobody makes a quality pet turf like Custom Turf Outlet, because we’ve been in the synthetic turf business since 1996. Through the years, our turf has been refined and improved, to include better & stronger materials for whichever application it is intended for. 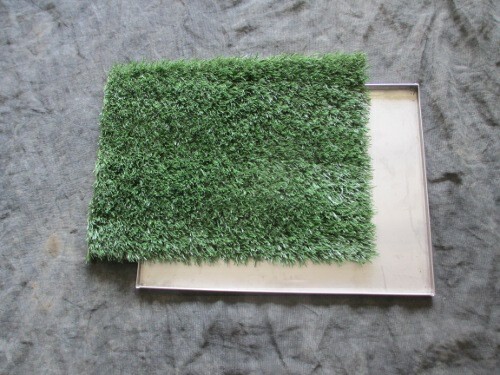 Keep your pet turf clean and odor-free with the included stainless steel tray. Avoid a disaster, with a bendable rubber tray, that can cause the waste to spill out. 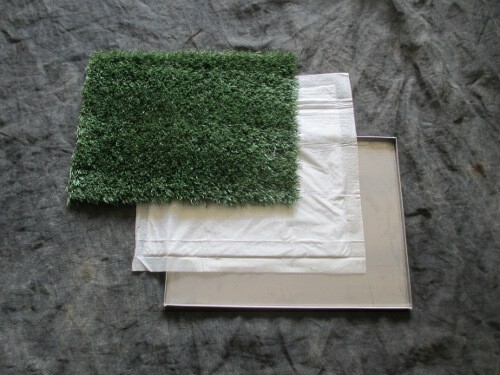 Our stainless steal trays add to the simplicity and practicality you can expect from Custom Turf Outlet. The last thing you want is to pick up a wet rubber tray and have the urine pour out onto the floor, or worse, on you. 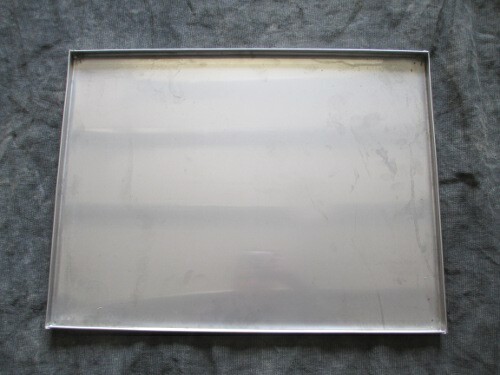 Nothing beats the stiff and sturdiness of a stainless steal tray. When shopping for indoor pet turf for your pets, it is very important that your turf has a high flow drainage system. Efficient drainage ensures that the grass stays dry and clean, no matter how often your pet uses it. Nobody has a faster and cleaner drainage system than Custom Turf Outlet, because we have an extensive research and development program for our turf products before production. Our customers love this product for apartments, kennels and homes. 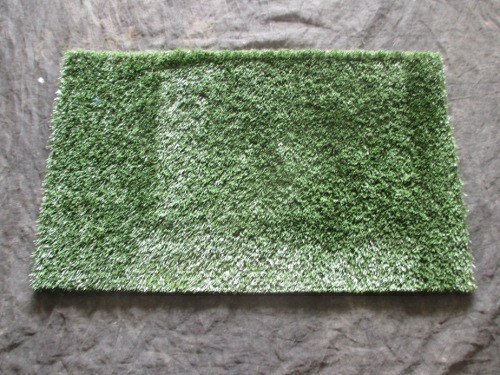 Some customers use the indoor pet turf in their cars or motor homes for long travels on the road. I spend a lot of time researching artificial grass to find something both safe and durable. We needed a product that was safe, drained well and was durable to keep our dogs clean! We’ve had our pet turf for over a year now and I can honestly say it’s a wonderful product! 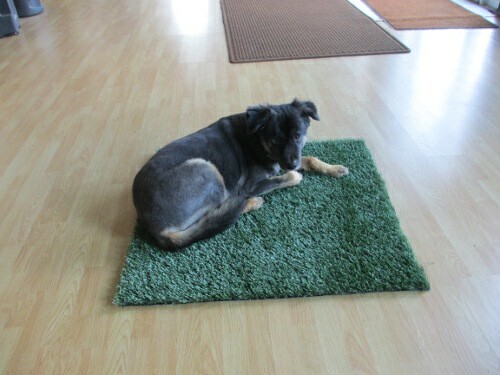 You will not be disappointment if you choose a custom turf outlet pet turf! Our dogs have enjoyed this pet turf for 3 months now and so have we! We bought the cheap ones and even an expensive one from a different company and this one is by far the most durable and highest quality made. We recently moved into a townhouse with just a patio and no backyard. 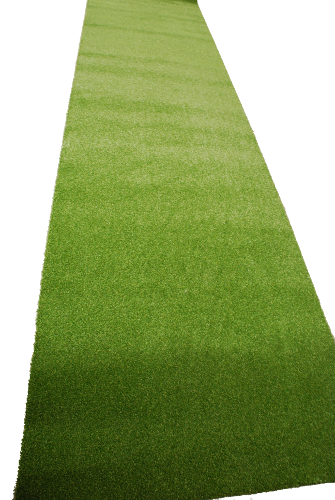 We found the pet turf by custom turf outlet and order one. Problem solved! Our two dogs learned quickly how to use it. We are thrilled we found this product! I have been using this for about 9 months now. Perfect for potty training my dog. This product has helped a lot! We adopted a new puppy and I needed to teach her where to potty. Almost instantly she pottied on the turf. I just put a couple of pieces of newspaper under it and change out the dirty ones. It works awesome! The best tool for potty training in an apartment! We put it on our porch and it’s been working great. Well made easy to clean up! My three little dogs love using this pet turf on our terrace. I put a potty pad that I get from the drug store under the grass and throw it away, periodically rinsing the grass and tray with a hose. It’s a perfect alternative to going all the way outside the apartment building, especially when the weather is bad.